Olloclip’s new lenses form part of the company’s Connect X lens system, introduced earlier this year to add support for the iPhone X to the range, and in turn supporting the iPhone XS, covering both the rear and front cameras and allowing extra lenses to be fitted. 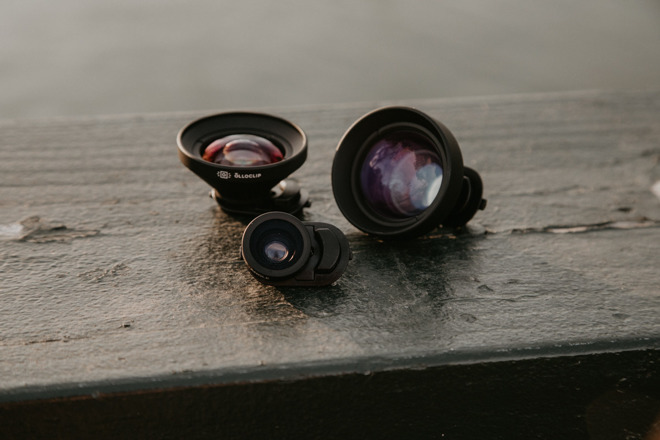 The new Intro and Pro series lenses work with the iPhone X Clip, future iPhone attachment clips, and the Multi-Device Clip. The new Intro Wide Angle Lens provides both a Wide Angle and Macro lens in one product. Providing a slightly more spherical effect than Olloclip’s Essential Series Super Wide Lens, the Intro version offers a better way to shoot groups and larger areas with the smartphone camera, while the built-in Macro lens can magnify a shot.